This is where local anaesthesia is used for diagnosis or relief of pain and is NOT associated with other procedures. Referred pain can often be difficult to find. Intense pain can be referred to an opposing jaw and to a different tooth in the same jaw. By numbing the suspect tooth or jaw, the referred pain will cease. (More on local anaesthetics in a later blog). Sedative drugs are administered intravenously usually in increments while dental procedures are carried out. They are a cocktail of medications that are usually used, provide amnesia and relaxation during the procedure BUT the patient remains conscious and can breathe on their own. The patient must be constantly monitored. The people administering the sedatives are usually medical anaesthetists or specially trained and certified dentists. A sedative gas, nitrous-oxide, mixed with oxygen is inhaled by the patient while dental treatment is carried out. This provides an analgesic and relaxation effect but it is not an anaesthetic. Local anaesthetic will still be needed where necessary. Acute upper airway infections, or other chronic or acute respiratory conditions. Severe forms of systemic diseases. Dental procedures that may interfere with the use of a mask e.g. surgery in the front area of the upper jaw. The need for securing the airway, e.g. with incision of intra-oral abscess. Therapy which does not involve medication but induces a lower state of mental awareness, an example is hypnosis. An additional item used to describe the treatment of a patient under general anaesthesia/sedation administered by another registered practitioner. The treatment itself should be itemised separately. 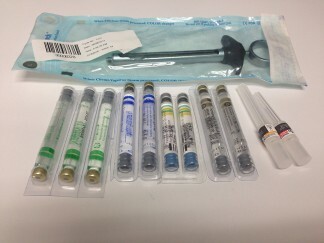 This item takes into account set up and recovery time, as well as the dental treatment must take into account the sedative state of the patient. Next week: The dry socket – Not nice!